When I was but a teenage emo kid I’d cover my bags with badges, displaying messages of general angst and faces of band members that I loved. Each one represented just a little piece of how I’d feel and who I wanted to present myself as. (Because apparently choosing an outfit in itself just isn’t enough…) That addiction I felt in my teens has returned! 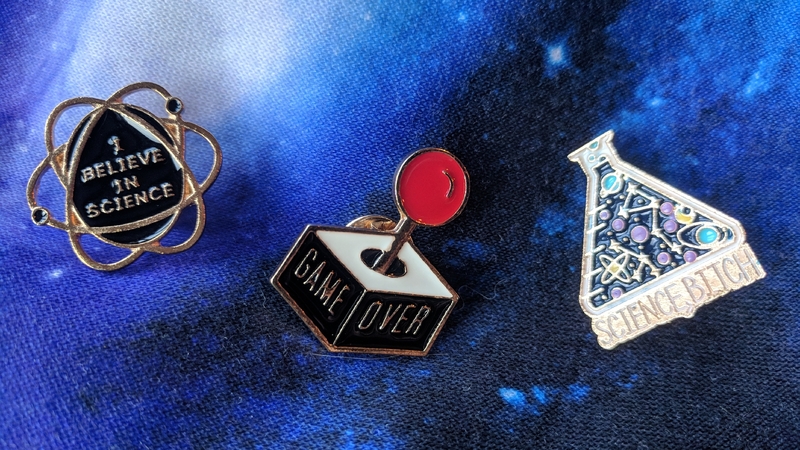 I am a sucker for nerdy enamel pins – I cannot get enough. 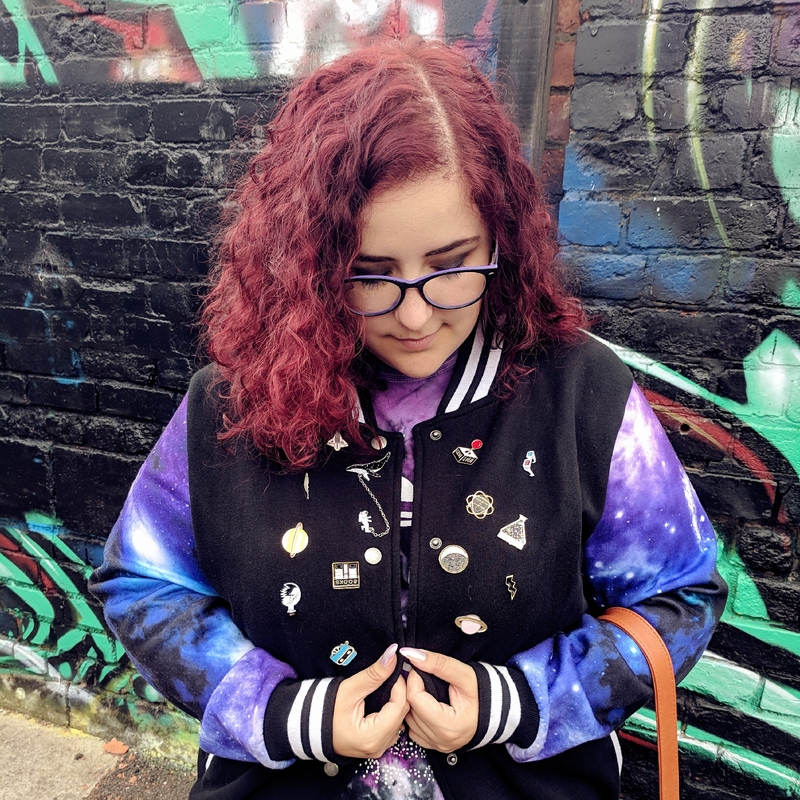 Recently I was gifted a space themed varsity jacket and had to cut down the amount of pins I allowed myself to put on it but I am forever making wish-lists of pins from amazing artists. Disclaimer: I will link to who I assume is actually the original designer/creator/seller of these badges and I shall apologise now if I have inadvertently not linked to the OP! Please feel free to correct me. 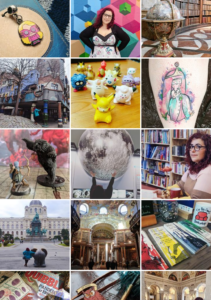 All of these opinions are entirely my own and this is not a sponsored post. I fell in love with these 3 as soon as I saw them! They take pride of place on my jacket (which has kind of become my second skin now that summer is finally leaving!) I think I bought these from a shop in Brighton, but you can get them online too! I am always declaring my love of books to the world. Hmmm… how can I make sure I do this consistently when in a library and unable to speak… hmmm… I KNOW. 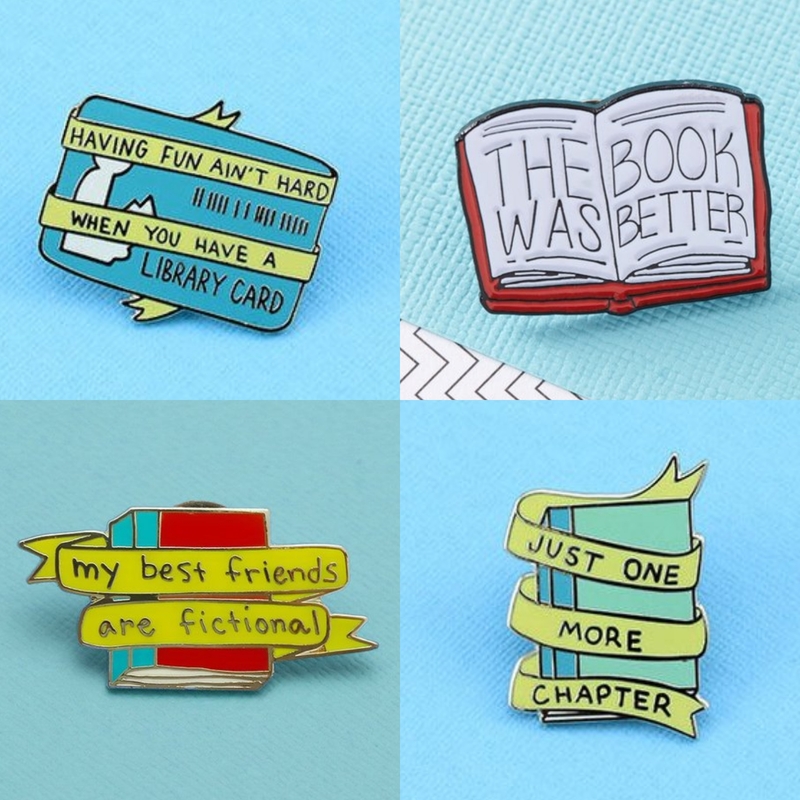 NERDY ENAMEL PINS. 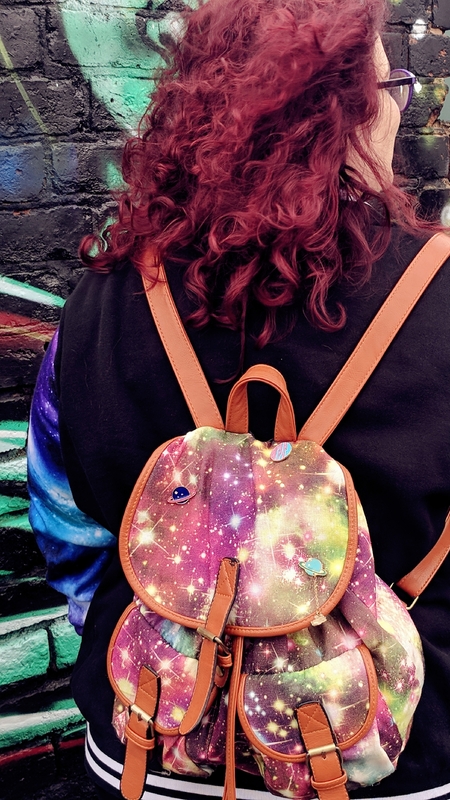 I don’t know if you noticed, but I love space themed stuff, so I plaster absolutely anything I can with galaxies, planets and stars. So as you can see, my bag is no exception. 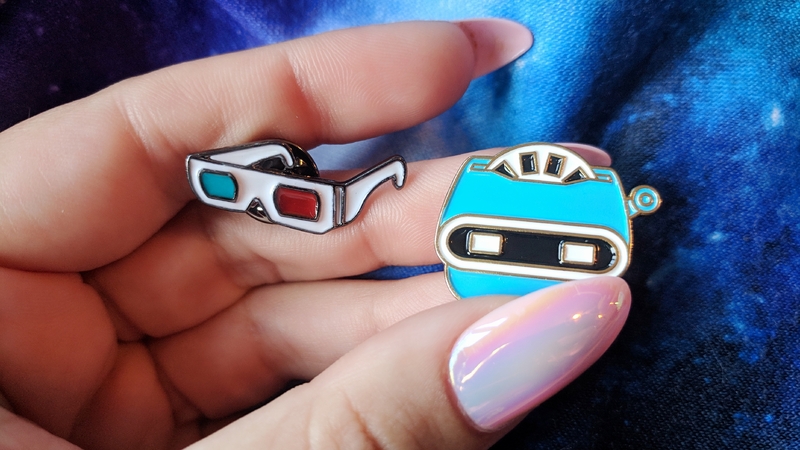 I think I got these pins from AliExpress (which is the best and worst thing ever. Sorry, not sorry, but a bit sorry). But if there was ever one pin to rule all pins… It would be this hinged Jumanji board one by Atomic Pins. The Jumanji pin looks so cool!